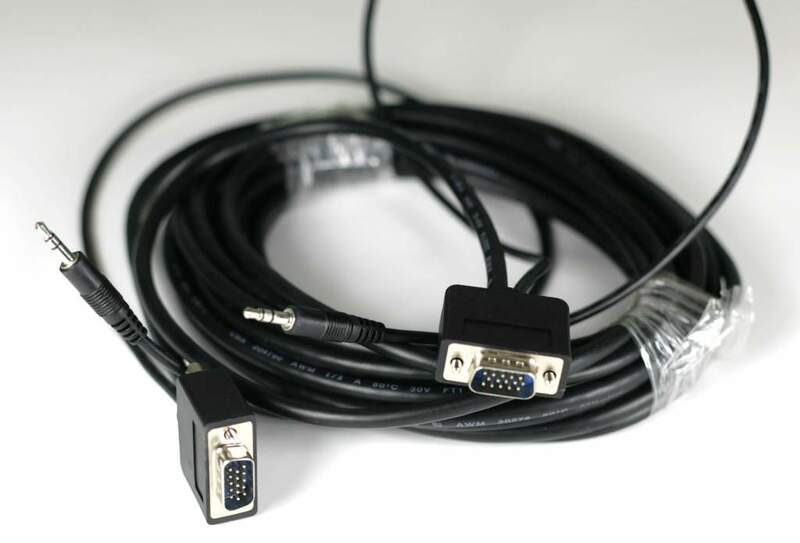 25-ft, PVC, SVGA / VGA Compact monitor replacement cable, features a 40% reduced diameter cable, smaller molded connectors, and built-in 3.5mm stereo plugs, for extending audio as well as video. Nickel plated connectors and gold plated copper contacts ensure excellent conductivity. Double shielding (foil and braid) provides maximum EMI/RFI protection. Both high density DB15 male connectors are molded and have integral strain relief to ensure long life. PCCables.com warrants this product to be free from defects in materials and workmanship for life.